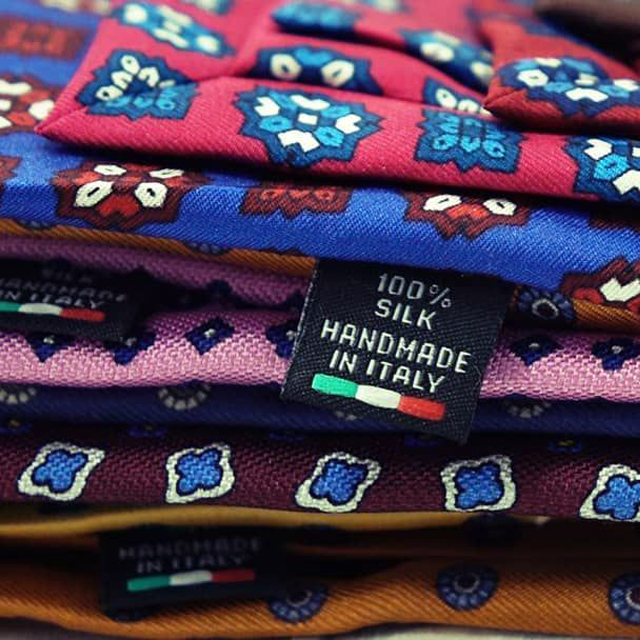 The materials used to make our clothing accessories are all natural and of Italian origin. The fabrics do not undergo chemical treatments that are harmful to health and therefore not allowed by European standards. They are among the most precious in nature: silk, wool, cotton, linen and cashmere, chosen for their noble characteristics. The fabric par excellence used to make our ties, but also for bow ties, ascot etc, is silk. The Italian sartorial tradition is fully respected and enhanced by the use of natural materials of the highest quality. The fabric par excellence used in our tailoring workshop is silk, a protein fiber of animal origin. It is produced by some insects of the order of lepidopterans. 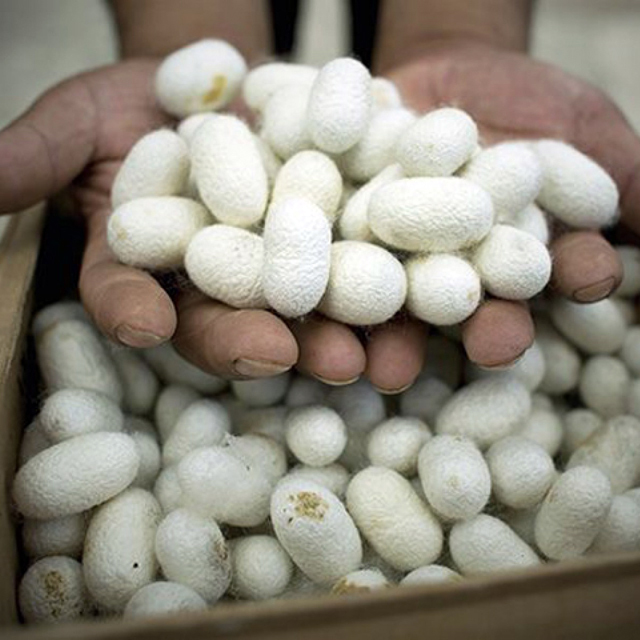 It is obtained from the cocoon produced by silkworms, most belonging to the species Bombyx mori. Sometimes some species of the family are also used Saturniidae. Evaluating the quality of a silk fabric can be complex even for specialized personnel. Difficult to distinguish the synthetic from the real silk. Touch helps us (the so-called man mano) and, of course, experience. To the touch the real silk remains invariably entangled with the minimal roughness of the skin, or at the corners of the fingers. While an imitation flows away without particular obstacles. 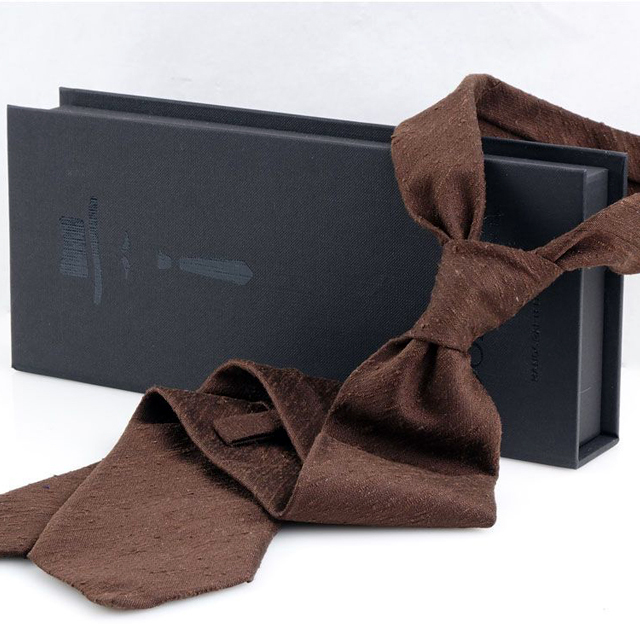 The ties, the ascot, the bow ties and the many accessories made available on this Online Store are in pure silk and in its various derivations, such as shantung silk, honan silk, tussah, panama, bourette, silk madder, satin silk, woven , jacquard, printed. Other yarns used are: linen, cotton, cashmere, wool, gauze, knit, modal, flannel. 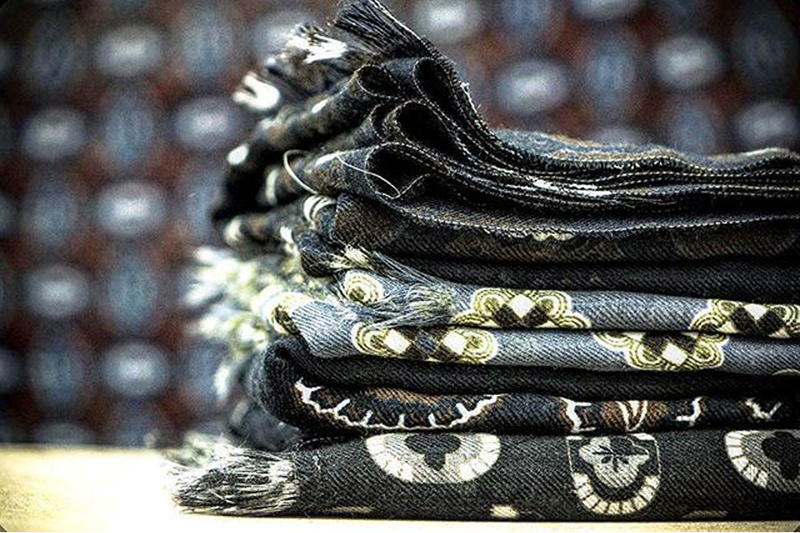 Our fabrics do not undergo chemical treatments that are harmful to health. They are strictly Italian.